Looking to update your look for summer? 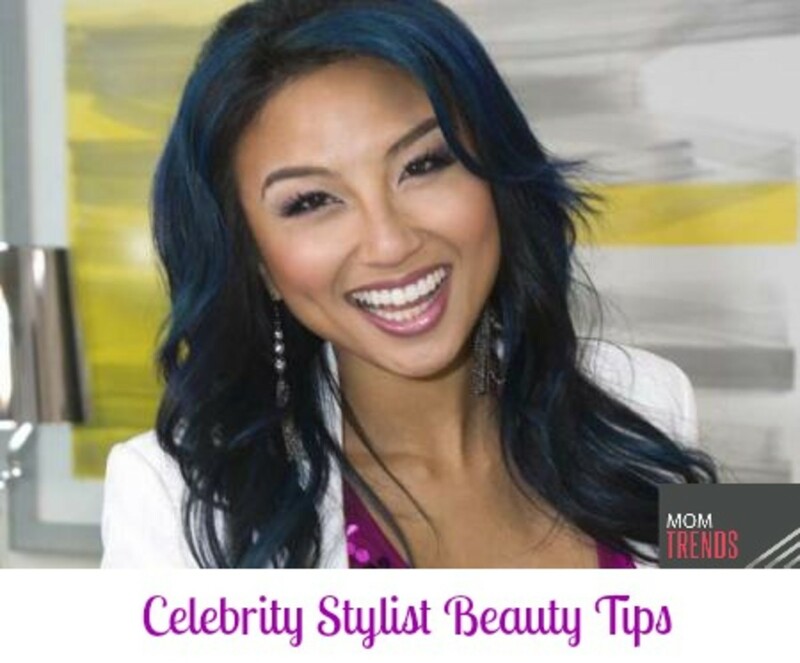 We are excited to share some fun tips from celebrity stylist, Jeannie Mai who shares some simple ways that we can all update our look this summer! While not everyone will be walking the red carpet, you can still get that red carpet glam look in the comfort of your own home! I always say your smile is your best accessory so make sure your smile is sparkling bright with the new Colgate Optic White Toothbrush + Whitening Pen. Use twice daily to achieve whiter teeth in 2 days. I am a fan of a bright, bold lip. But if you are drawing attention to your lips you need to make sure your pearly whites are sparkling white. I recommend stashing lip colors with blue undertones and the new Colgate Optic White Toothbrush + Whitening Pen in your purse for an on-the-go beauty update. Accessories are a girl’s best friend, am I right? We all love to dress up our look with bangles, earrings and the hottest new handbag. But ladies, don’t forget your best accessory is and always will be your smile! Make your smile pop by using the full Optic White line of products - brush, rinse, whiten and go for whiter teeth in just one day! One of the most stylish and sensible ways you can partake in summer trends without jumping into temporary trends is to shop vintage. Today trends are taking strong struts from the past, and celebrities like Beyonce and Carrie Underwood are jumping right in. A good tip to help you shop vintage and stand out is to aim for statement accessories that add the throwback to your modern wear. Tortoise shell sunnies, natural fiber woven clutches and bags, or low block heel footwear are essentials. One of my ultimate fave places around the world to shop at is in my very own home of Los Angeles. Decades on Melrose is a legendary must to all the fashion mavens everywhere. It&apos;s worth the trip back in timeless style. As a fashionista, it’s important to stay on top of the latest trends. This year’s Pantone color of the year is Radiant Orchid – so swipe some lavender polish onto your lovely nail beds the next time you go to the salon. Manis and pedis are fun and easy ways to add pops of color to your look. Neon orange lips are officially in. The bright orange shade provides the necessary pop to your lips and looks great on multiple skin tones. While we all love to rock bright and bold colors, remember that black is and always will be classic. Make sure to keep a little black dress stashed in your closet to rock at the next event you attend or night out on the town. Tie your look together with some great accessories. Adding a statement necklace can really set the tone for the rest of your outfit. You can really transition an outfit from day to night with the help of a stylish accessory. It’s all about the blue eye makeup these days! Apply shades of teal and seafoam to your eyelid or as a liner to make those gorgeous eyes of yours sparkle and shine. Looking to jump on a fashion trend from the 90’s? Well ladies, you are in luck - overalls are back in full force! This laid back outfit looks comes as a romper or in the traditional full length get up – so why not have a blast from the past and rock the overall! No one wants to feel weighed down, especially when it comes to their makeup. Instead of wearing a heavy foundation, try a tinted moisturizer – it provides the coverage you want/need in a light weight formula.